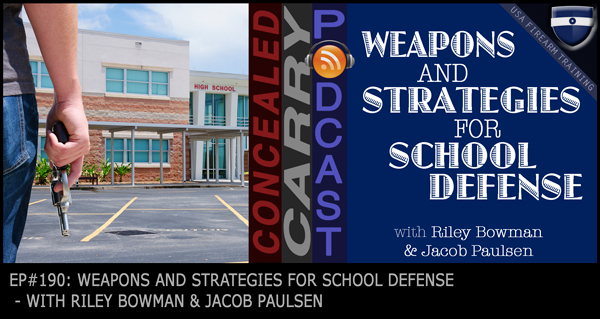 Today Riley and Jacob answer several listeners' questions including one about what types of “weapons” you may be able to carry or use in a public school for defense? Good question, join us as we get into it! Press ‘PLAY' to listen now!